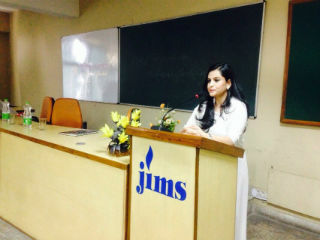 Interactive Session on "Entrepreneurship-Challenges and Opportunities"
The Entrepreneurship Club of JIMS, Sector-5, Rohini organized a Guest Lecture on "Entrepreneurship-Challenges and Opportunities" for its PGDM students of 2014-2016 Batch. 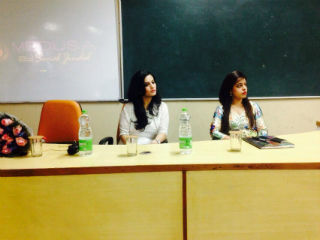 Session was conducted by Ms. Sonal Jindal - An Entrepreneur, Owner of MEDUSA. In this session Ms. Jindal discussed her journey from being a house wife to becoming a successful entrepreneur. The students were motivated & informed about various challenges & avenues available for starting new business ventures. The session was very interactive. The students asked many question which were answered by Ms. Jindal very patiently. 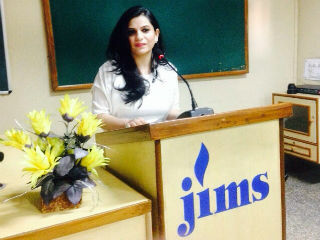 The session was planned and executing by Ms Parul Raj , Faculty Coordinator Entrepreneurship Club. 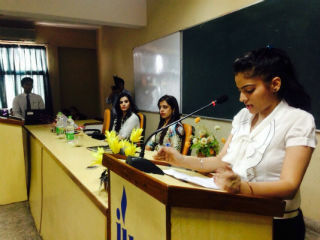 Overall the session was highly informative & motivating for the students.